Please review this notice from the East of Thunder Bay Transportation Consortium, the organization that manages student bus transportation to GCHS. School buses are cancelled at -40C as per the Weather Network, the Weather Channel and consultation with the bus company in your area. This does not include wind chill. If at any point, you feel it is too cold, or there is too much snow, please do not send your child on the bus if you think it is unsafe. When buses are cancelled, schools are normally open. Finally, if the bus was cancelled in the morning, it is cancelled in the afternoon. 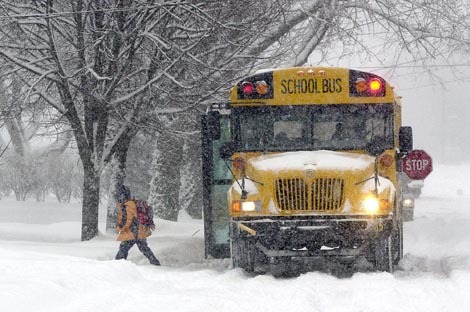 If you drive your child to school when buses are cancelled, you must make arrangements for the drive home. Please visit www.etbtc.on.ca to sign up for email alerts and to see our policies.